Throughout the year Tourism Kamloops partners with a variety of organizations and businesses to host Travel Trade guests and Media. Our goals are to gain exposure and encourage increased length of stay in Kamloops. A group of 14 media experiencing a trip on the Rocky Mountaineer stopped in Kamloops for a visit. Alongside our partners we hosted them for wine and food parings for an evening. They were visiting from Rocky’s top markets including Canada, USA, Australia, New Zealand, and the United Kingdom all writing in a variety of publications. Here is one article that has already been published as a result of the event. 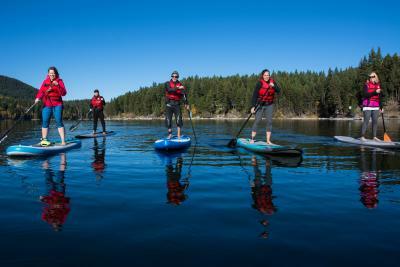 In partnership with Tourism Sun Peaks, the Thompson Okanagan Tourism Association and Destination BC, we hosted three media from our top target markets of Vancouver, Calgary and Seattle over a period of four days. They had a full itinerary including many of the great experiences Kamloops has to offer. Here is a blog that one of the media was putting together throughout her trip. In partnership with Destination BC we welcomed Bob Kronbauer from Vancouver is Awesome to experience our Brewloops Festival. He had a great time and published this article. 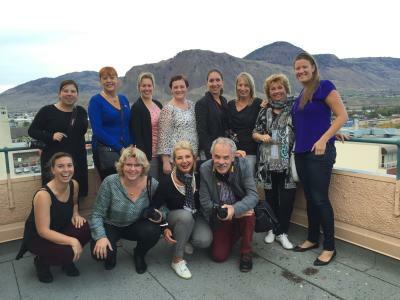 September was a busy month for Tourism Kamloops and the travel trade team. We hosted 5 different familiarization tours with a total of 48 participants from 44 different companies. We had representation from markets such as: Germany, Deutschland, United Kingdom, Japan, Taiwan, China, Europe, Mexico and Spain. Through successful partnerships with Destination BC, Thompson Okanagan Tourism Association and Rocky Mountaineer we were able to showcase various products and attractions in Kamloops with the goal of increasing length of stay as well as including Kamloops in future itinerary planning.